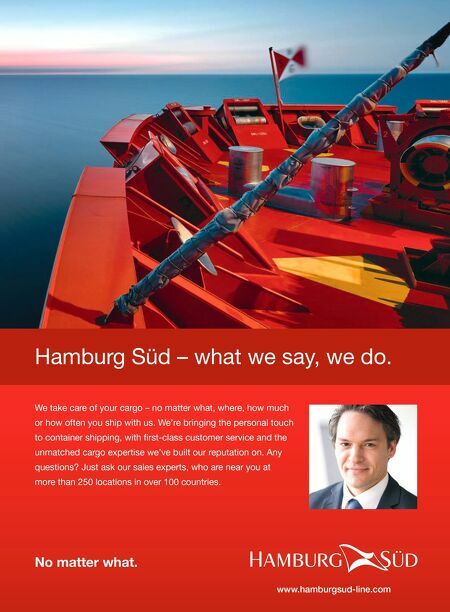 Hamburg Süd – what we say, we do. We take care of your cargo – no matter what, where, how much or how often you ship with us. We're bringing the personal touch to container shipping, with first-class customer service and the unmatched cargo expertise we've built our reputation on. Any questions? Just ask our sales experts, who are near you at more than 250 locations in over 100 countries. www.hamburgsud-line.com No matter what.